Undoubtedly the most vital consideration before you migrate a user to a new machine, or upgrade Operating Systems is Data Backup. Find out how to streamline your data migration projects with Cibecs endpoint backup, restore & data protection. 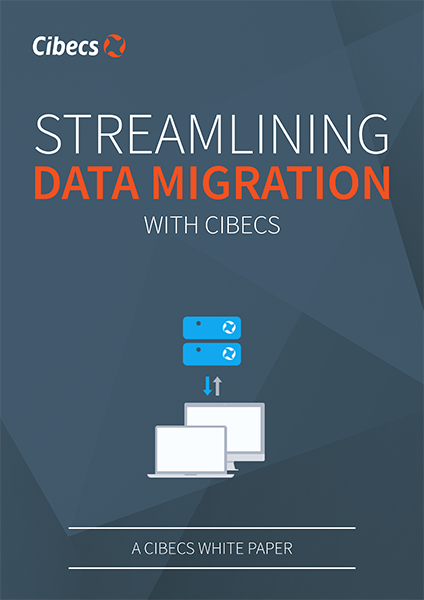 Use Cibecs to solve your data migration challenges & streamline the project. Gaining control over business data protection. Running fast and optimised pre-migration backups. Reducing the costs of a wide-scale migration to Windows 10 or a new machine. Creating Compliant Reports of the project. Download the paper by filling in the short form on the right.